A three-stop series that brings together the best BMX dirt riders in the world. Corona, California (THE WIRE PRESS) – Monster Energy is proud to announce the 2017 Toyota BMX Triple Challenge at Monster Energy Supercross, a three-stop series that brings together the best BMX dirt riders in the world and combines the best of two worlds, on two wheels. The Toyota BMX Triple Challenge will take place during the Monster Energy Supercross events with the first event on January 6-7 in Anaheim, CA, followed up by the January 27-28 event in Glendale, AZ, and the final event will be on February 24-25 in Atlanta, GA at Motofest. For three years, Monster Energy has brought the best BMX dirt riders in the world to compete at a unique dirt event that has helped progress the level of riding in BMX. Each of the three events will have up to 50 riders compete in an open qualifier with the simple goal of giving anyone the change being crowned the overall champion. 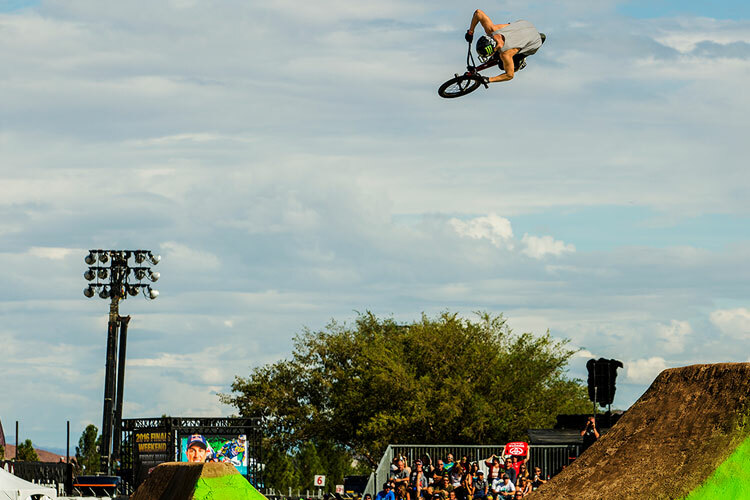 With just two jumps to lay down the best tricks the riders have, the Toyota BMX Triple Challenge will focus on tomorrow’s tricks from today’s established pros as well as unknown riders looking to make waves. Check it out here: http://www.SupercrossLive.com. For more information visit http://www.monsterenergy.com and follow Monster Energy on Facebook and Instagram. For interview or photo requests contact Kim Dresser. Feld Entertainment is the worldwide leader in producing and presenting live touring family entertainment experiences that lift the human spirit and create indelible memories, with 30 million people in attendance at its shows each year. Feld Entertainment’s productions have appeared in more than 75 countries and on six continents to date and include Ringling Bros. and Barnum & Bailey®, Monster Jam®, Monster Energy Supercross, AMSOIL Arenacross, Disney On Ice, Disney Live! and Marvel Universe LIVE! More information about Feld Entertainment is available online at http://www.feldentertainment.com.